What interests me most about these “unaffiliated” monsters — and by “unaffiliated,” I mean that they aren’t associated with any of the main enemies within the series — is that they seem to exist without any connection to the Sailor Soldiers, and likely have for some time. They’ve just been sapping energy from humans for some time, minding their own business, and suddenly run into trouble when the Sailor Team show up and ruin their fun. This also means that, in addition to the few that we see in the series (and that we’ll be discussing shortly), it’s quite likely that there are far more monsters out there that we never see, because they just happen to never draw attention to themselves. The Genius Loci1 are a prime example of this: while we see several in the series, it’s likely a fairly safe bet that there are a lot more out there that either haven’t been discovered yet or who are lying dormant. Lastly, I love the idea of random monsters being out there in the world because it adds a different angle to the generally black-and-white, good-and-evil dynamic we see throughout the series. I loved it back during the Dark Kingdom arc (when Tuxedo Mask was neither a friend nor foe) in the Infinity arc (when Sailors Uranus and Neptune were still independent) and in Sailor Stars (with the Starlights). Maybe it’s just me, but the idea that the Black Moon could have been attacked by a Genius Loci while searching for ChibiUsa fascinates me. Read also: How Did Ail and An's Cardians Get Their Names? 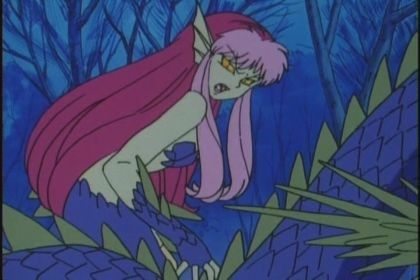 Episode 20, Sailor Moon‘s first so-called “beach episode,” is full of monsters, though it turns out that only one of them actually ends up being real. Sakiko, a young girl with psychic powers, is being used by her father for his own sinister plans. Unfortunately, his attempt to draw out her latent psychic abilities through the power of hypnosis backfires, resulting in an out-of-control ghost running loose, only to be stopped by the (conveniently nearby) Sailor Soldiers. 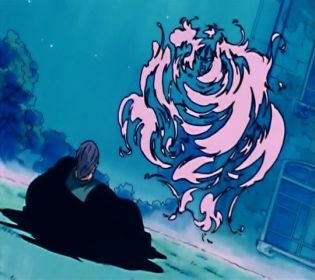 This is one of the few times where we see one-shot characters exhibit special abilities without any sort of explanation, and it also seems to suggest that ghosts are an actual thing in the Sailor Moon universe. Still in the first season, we see our next unaffiliated monster with the Monster of the Lake (湖の妖怪; mizuumi no youkai) in episode 40. This is apparently a spirit fueled by hatred and jealousy that has been locked away in the lack for generations after being shunned by her lover. Endymion releases the monster in an attempt to control her as the newest minion of the Dark Kingdom, but things don’t quite go as planned and Sailor Moon has to come and save the day. Since we don’t exactly know how much time has passed since the Silver Millennium ended and the modern era, every time I watch this episode I always wonder if the woman’s spirit has been trapped back before the Moon Kingdom fell (which would make her story a bit more “normal”), or if this was more recent. Unfortunately, we don’t have any answers here…! These two count, but with a comically-large asterisk next to their names. In the SuperS anime special, Lilica Hubert was just a normal Deam Moon Circus Lemures. However, in the manga, she is a flower-eating vampire living with her mom… who also happens to have vampiric inclinations. 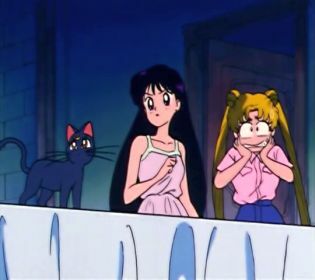 Though we never really get a proper explanation as to why there’s a vampire running around in the Sailor Moon universe, the rest of the cast seems to treat it as if it’s no big deal and like vampires are just kind of a thing that happens. 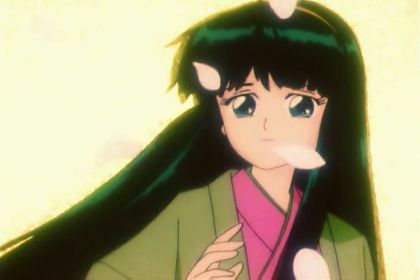 Read also: Is Rei Hino / Sailor Mars Part Demon? 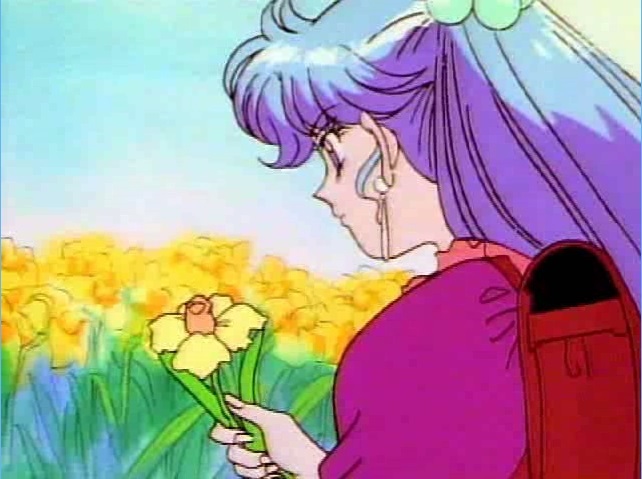 I guess you could point to the somewhat non-canonical nature of the ChibiUsa Picture Diaries to explain this away, but it’s still one of those odd moments that stands out to me in the series. It probably makes sense that the number of these enemies-but-not-actually-enemies dropped off after the first season once the series hit its stride. 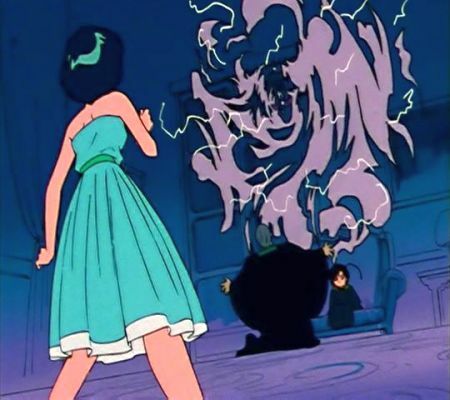 However, when you consider how casually the characters seem to respond to these monsters — with nary a mention of the fact that they aren’t related to the enemies they’ve been fighting — it seems plausible to me that supernatural occurrences like this are somewhat normal for people in the Sailor Moon world. This also leads to an interesting question of: are we just lucky that the Sailor Soldiers happen to have awakened when they did, or did their awakening set into motion the events that we see in the series? While I’m personally inclined to believe that the Sailor Soldiers just happen to be responding to threats as they come, I think you could probably make a decent argument that the awakening of Sailor Moon and the Silver Crystal set into motion a series of unintended consequences, resulting in causing once-dormant monsters to run free. What’s your take on the whole issue? Did the world just happen to get lucky and the Sailor Soldiers were there at just the right time, or does the very existence of the Sailor Team have unintended consequences on the world around them? I’d be interested in hearing other opinions! ← What Are 5 of My Favorite Bits of Sailor Moon Trivia? I like this idea a lot!! It ties in really well with the idea presented at the end of the manga that the darkness of Chaos exists to seek out light. I think it was the enemies activities that caused these beings to awaken.